The announcement does not stop here but BLOOP and Global Street Art is running a contest to offer a wall in the festival. Below are the details! 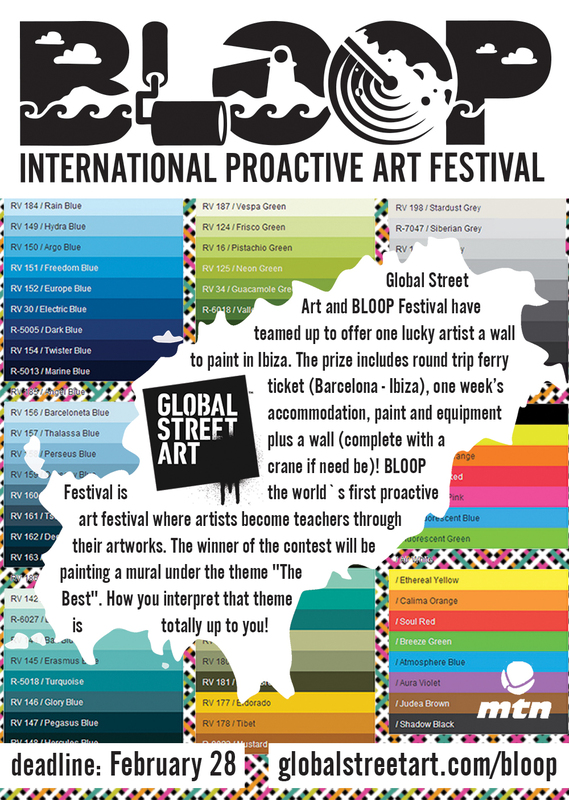 Global Street Art and BLOOP Festival have teamed up to offer one lucky artist a wall to paint in Ibiza. The prize includes round trip ferry ticket (Barcelona - Ibiza), one week’s accommodation, paint and equipment plus a wall (complete with a crane if need be)! BLOOP Festival is the world`s first proactive art festival where artists become teachers through their artworks. The winner of the contest will be painting a mural under the theme "The Best". How you interpret that theme is totally up to you! 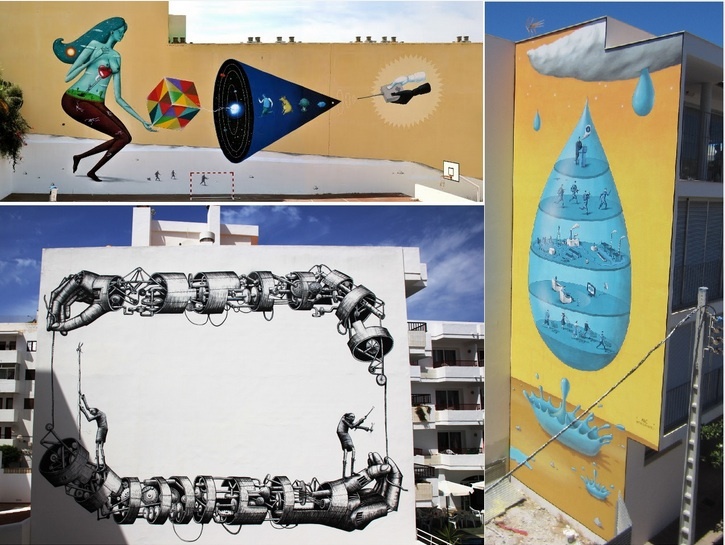 Create an artist’s profile at www.globalstreetart.com and upload photos of your street art. The closing date for entry is the 28th of February. Artists who have work relating to the theme or who also upload sketches of their interpretation of the theme have a stronger chance of being short-listed but this is not needed to enter the competition! Once the deadline has passed we’ll make a shortlist of 5 artists and then we’ll have a voting period on Global Street Art website and the official BLOOP Facebook page. The winner will be the artist with the most votes. Simple! You will need to get to Barcelona but we will take care of the rest!